Could Disney’s Frozen and Tangled Be Setting the Stage for an Avengers-like Team-up Movie? When Disney bought Marvel in 2009, the two companies were in the process of making some big changes. Marvel had lofty aspirations of turning the few recognizable characters it still owned into successful movie franchises while Disney was retooling its animation department to turn out good movies again after spending years mired in mediocrity. Marvel’s strategy worked, and they wound up spinning their great standalone characters into 2012’s epic ensemble movie, The Avengers. Disney has also had a string of hits since 2009: The Princess and the Frog, Tangled, Wreck-It Ralph, and now Frozen. But while Marvel clearly had the goal of integrating its characters into a single film from the start, Disney doesn’t appear to have any such aspirations. Or are they just being really subtle about it? Here are some hints that Frozen and Tangled might be the beginning of an animated team-up movie to rival The Avengers. 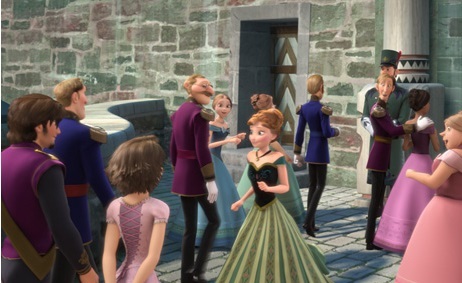 We know that the events of Tangled and Frozen take place in roughly the same time and place because a short-haired Rapunzel is briefly seen entering Arendelle’s castle early in the film during the song, “For the First Time in Forever.” Maybe she’s just scoping the place out in anticipation of an upcoming adventure there. Rapunzel doesn’t look out of place at all in the world of Frozen. The two films have similar animation styles and character designs. They’re not close enough to look like Frozen is just a knockoff of Tangled, but they definitely have the same feel, which is an important part of making a team-up work. 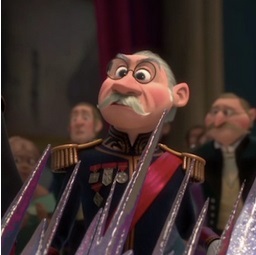 At the end of Frozen, Queen Elsa tells the Duke of Weselton that his kingdom will no longer be the main trading partner of Arendelle. That opens up the door for Rapunzel’s kingdom to swoop in and take that spot. After all, they have a lot of ships and they could easily be a big exporter with that fleet. And if they become trading partners, it’s an instant opportunity for new relationships and potential conflicts. 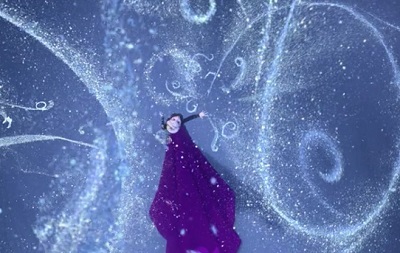 Queen Elsa has the power to create and manipulate snow and ice at will. This is a powerful ability that she could easily use to threaten other kingdoms with eternal winters if they don’t give in to her demands. On the other hand, there’s Princess Rapunzel, next in line for the throne, who has the ability to heal others with her tears or, I assume any liquid coming from her body. She could spit on people and they would bless her for it. That would make for a strange scene. Also, she might live forever because of the latent magic running through her veins. Imagine putting these two super-powered beings in the same story and seeing what happens. Plus, Frozen introduces mythical creatures like trolls and talking snowmen into the mix. There’s a lot of potential there for future stories. Disney has announced a host of animated films it has in the works. Of particular note is Giants, scheduled for 2016. It’s being directed by Nathan Greno who was the co-director of Tangled. Giants is based on the fairy tale Jack and the Beanstalk, like Tangled is based on Rapunzel and Frozen is based on The Snow Queen. Of course, fairy tales aren’t the only things Disney Animation is working on. But their projects that are set in other times and places could be, at least in part, an attempt to disguise the studio’s intentions, for whatever reason. An animated team-up movie isn’t wholly without precedent. 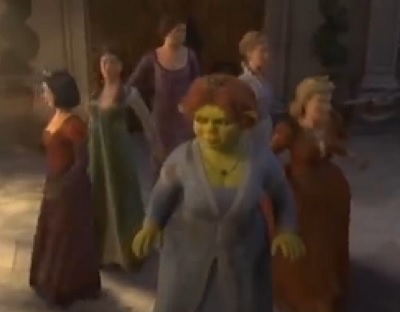 Shrek the Third featured a half-dozen princesses, such as Sleeping Beauty and Cinderella, working together to defeat a foe. The results were surprisingly lackluster, but that hardly precludes the idea of a good princess team-up movie ever being made. After all, The Avengers was amazing in spite of the bad precedents set by X-Men: Last Stand and Fantastic Four (2005). This is, of course, just a theory of mine. I have no solid evidence to back it up. But it seems to fit the facts and it’s plausible enough. It would be awesome if it turned out to be true. Disney has certainly enjoyed a lot of profits as a result of Marvel’s forward thinking when it comes to making quality films that mesh well together. If Disney decides to bring that same business model to the animated world, then I welcome this dramatic change from the status quo. Perhaps Princess Anna’s line about this being “the first time in forever” as she passes Rapunzel could mean something much more than just the opening of castle gates, but the opening of a new chapter in Disney storytelling. This entry was posted in Random Stuff and tagged animated films, avengers, comic books, disney, fairy tales, films, frozen, movie review, movies, tangled. Bookmark the permalink. 5 Responses to Could Disney’s Frozen and Tangled Be Setting the Stage for an Avengers-like Team-up Movie? 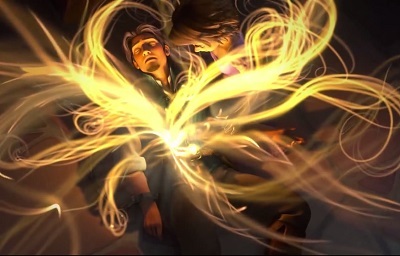 My theory — Elsa and Anna’s parents died trying to get to Rapunzel and Flynn’s wedding. I hadn’t thought of that connection. That’s a really cool idea. Thanks for mentioning it. THAT would be totally awesome! I would love to see it done more seriously than what they did in Shrek the Third. Women can be awesome heroes. Seriously. I don’t think team-up movies are always a good idea, like in the case of Alien vs. Predator or Freddy vs. Jason. But I think Disney has a good thing going here, and I’d love to see them do something revolutionary with all these great characters they’re setting up.